Become your own interior designer with the help of the IKEA Home Planner. Select and place your choice of Kitchen and Dining furniture and fit them to the exact measurements of your home. Rearrange and try different styles until you're satisfied with the result. View it in 3-D and print with all the measurements, just like an architect. Version 2.0.3 is a freeware program which does not have restrictions and it's free so it doesn't cost anything. 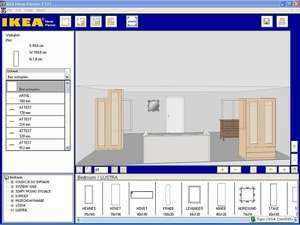 For security reasons, you should also check out the IKEA Home Planner download at LO4D.com which includes virus and malware tests. Additional screenshots of this application download may be available, too. Featuring the very best in free utility downloads. Editing staff adds reviews and free download links and constantly updates software. Check out some of the freeware downloads available in the utility category. They contain no strings and are available at zero cost. 4.5 out of 5 based on 70 ratings. IKEA Home Planner download been highly rated by our users.